January 25, 2017 — Comments are off for this post. In December, we announced that CBS News National Correspondent Chip Reid visited the Brand Joint office and conducted an interview about the challenges of parenting in the cannabis industry for CBS This Morning. The segment finally aired live this morning! 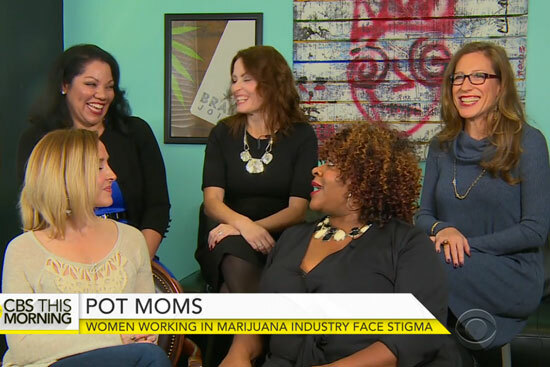 Along with fellow industry moms (Leah Heise of Women Grow, Chanda Macias of National Holistic Healing Center, Shawnta Hopkins-Green of Mycannx and Carrie Kirk of Cannaline), Jenn talked about the unique challenges of being a parent in the industry. Check out the entire segment and transcript on CBSnews.com, or watch the interview below!